So, we are living in a digital age where digital cameras all sport super high resolution counts, but with the $29.99 Recesky Twin Lens Reflex Camera Kit, things are a little bit different. 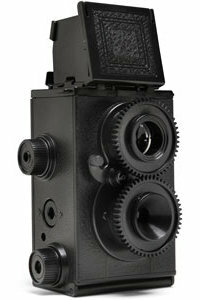 This particular twin-lens reflex camera is one which you are fully capable of building yourself, assuming you are able to interpret all the fixing together instructions properly. I know, some of us still do experience such troubles, but it is nothing that cannot be overcome with sheer perseverance. The Recesky Twin Lens Reflex Camera Kit will rely on standard 35mm film (your kids might just ask you as to why you use such film, as they scratch their heads to comprehend an age where there was no such thing as film in the past) to get the job done, that is, helping you create old school pieces that used to use film. Retro always has a place in the hearts of man, that is for sure.